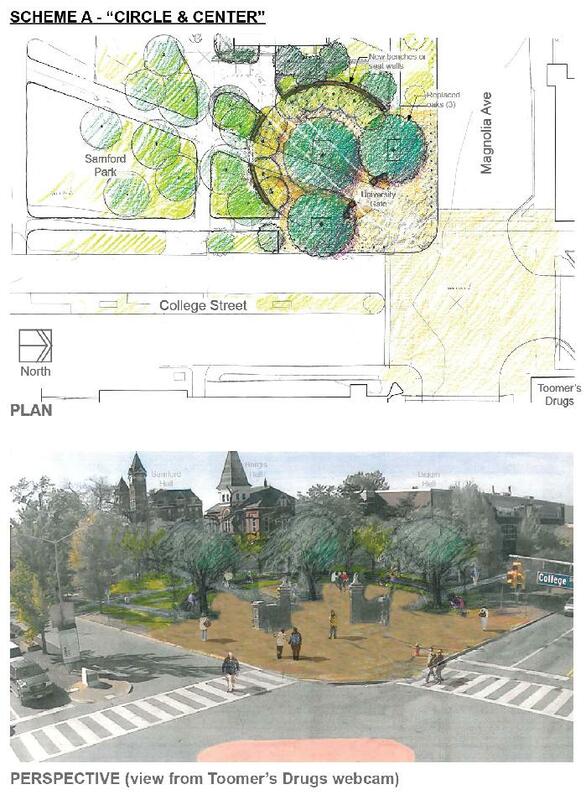 Circle and Center is one of four options for the future design of Toomer’s Corner Auburn alumni, fans, and residents are being asked their opinion of in a new online survey. The Auburn family is again being asked for its opinion on the future of Toomer’s Corner. In an interview with the Auburn Plainsman, Auburn University campus planner Jeffery Dumars says that input received from a survey that will be online through Jan. 18, 2013 will weigh heavily on which two of the four concepts presented by university-contracted landscape architects last month AU will likely look to develop into Toomer’s 2.0. Dumars said the original goal of having the new Toomer’s Corner completed by the start of the 2013 football season is no longer realistic and that progress on the project is currently a year behind expectations. It needs more trees. Big trees. I was shocked when I visited the campus after 17 years — the beautiful wooded campus I remembered now looks more like like Oklahoma or Kansas. We have a Forestry School for goodness sake. Let’s have more forest! I agree. It’s amazing how much has changed in just the last 10 years. We need to get more green back. More grass and more trees. I see no need to move the gates. I just filled out the survey (I liked them all, but thought C made the corner safer & easier to celebrate within). You’re welcome, world.